I just wanted to let everyone here know, who I'm not friends with on fb that is, that I'm a Scentsy Consultant! If you have any questions, please let me know! Also check out our newest buddy! His name is Bandit! I'm also looking for team members, so if you're interested, please let me know!!! Thanks! Jen! I had no idea! I'm so glad you posted this. What is your FB page so I can like it and order stuff? There are a TON of really awesome things going on with Scentsy for June! I can't even tell you how excited I am for Bring Back my Bar, there are some FANTASTIC retired Scents that are available for this month only!!! 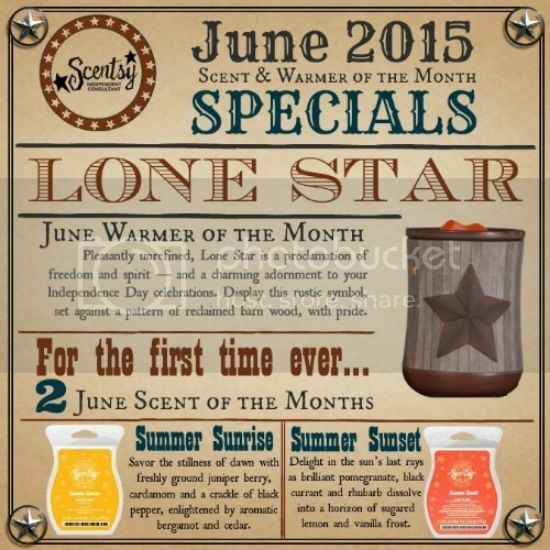 The June Scents and Warmer of the Month, for the first time ever there are TWO scents of the month, Summer Sunrise and Summer Sunset (it goes along with the Spring/Summer Catalog, which is a trip throughout your day!) 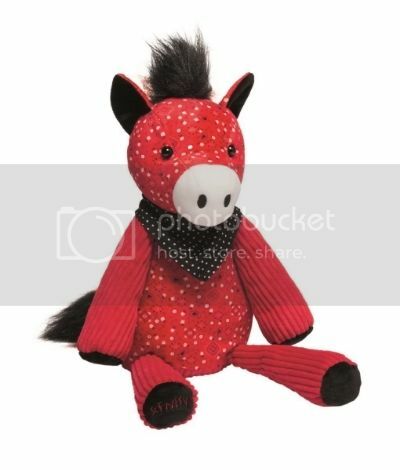 And I'm totally in love with the Lonestar Warmer, it really looks just as good in person! And lastly, if you're thinking about joining Scentsy, June is a great month to join! Shipping on starter kits is FREE, and if you achieve the Shooting Star Award (which is actually much easier than I thought it would be!) you get the Shooting Star Enhancement kit FREE (which I'm SOOOO jealous of, usually it's $200 and has about $300 dollars worth of Scentsy product in it!) If you have any questions, or are interested in joining my team, please let me know! !